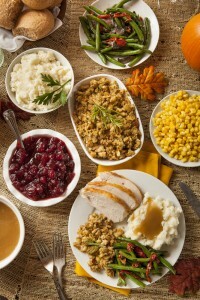 From all of us at Robison Dental Group, we want to wish our patients from the Canton area a happy Thanksgiving! This special holiday is a great time to spend with loved ones. And though we want you to have excellent oral health, a holiday like this one is the perfect time to set aside strict eating habits and just enjoy everything the season has to offer—even if that means a second slice of pie. If you’d like to schedule an appointment with us after the Thanksgiving holiday, give our office a call. Our Canton dental team is happy to serve areas like Ann Arbor, Northville, Westland, and Plymouth.